China is looking to develop an "interstellar" weapon based on electric thruster technology to send a spacecraft to Mars in just 200 days, according to a report from the official Xinhua news agency. Electric propulsion is still regarded as relatively weak but is still strong enough to propel humans into space at significantly lower costs than traditional propulsion systems, which is why the technology is regarded by the international aerospace community as the way of the future. China has developed this technology by itself as other parties such as the United States, Russia, the European Union and Japan are all keeping their research confidential. 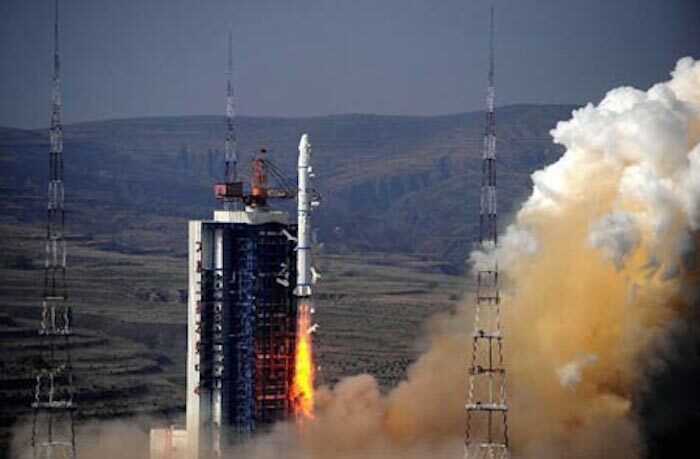 The development has reached a stage where China believes it will be able to send its first electric propulsion satellite into orbit by around 2020. First, China will launch a hybrid propulsion communication satellite at the end of 2016 and will also use electric propulsion in China's space station in the future, according to Wang Min, a satellite designer at the China Academy of Space Technology (CAST). Electric thrusters use only a tenth of the amount of propellant required by traditional chemical propulsion systems, which means the amount of propellant needed for a typical communication satellite could be slashed from 3 tonnes of fuel to just 300 kg, Wang said. "The benefit is obvious. The weight of the satellite can be greatly decreased, so a rocket can send two satellites into orbit at the same time; or we can launch a cheap, small rocket to carry the satellite, which will greatly save on launch costs. We can also put more equipment on the satellite to improve its functions," Wang said, adding that it would also extend the life of a communications satellite by five years. Electric propulsion technology will play an important role especially in manned deep space exploration, Wang said. The downside of electric propulsion is that it cannot be used on carrier rockets and spacecraft that need to quickly enter orbit due to its low thrust, though as long as it continues "blowing" it would be able to accelerate over time. Experts believe that, given the significant weight reduction offered by electric propulsion, an array of 40 electric thrusters of 50 kilowatts would be able to send a 300-ton spacecraft to Mars in just 200 days. China has so far tested two experimental electric thrusters on the Shijian-9 satellite launched in 2012 and expects to be able to upgrade the power of electric thrusters from the current five kilowatts to 50 kilowatts by 2020.